Grounded in a spirit of compassion we believe in the unique potential and gifts of each individual to grow, develop and overcome personal, family and life obstacles and challenges. When “hearts connect” we do believe “lives and relationships can be transformed” through personal supportive counseling and family therapy. Preston Center of Compassion psychotherapists are licensed clinical social workers who provide individual and family psychotherapy and counseling for women, children and families from the Bronx, Manhattan and lower Westchester. PCC clinical social work psychotherapists are on most behavioral and mental health insurance plans. A sliding scale is also offered to those who are uninsured. Carol T. Wagner LCSW, BCD, Director of Counseling Services at Preston Center of Compassion, is a New York State Licensed Clinical Social Worker. Carol is a 1982 graduate of Fordham University Graduate School of Social Work, and completed post-graduate training in family systems therapy with Phil Guerin, MD at the Center for Family Learning in Westchester. She continued post-graduate training in adolescent and family treatment and then became part of the training program’s adjunct staff and the adolescent and family research and training team. From 1981-1991 Carol worked with adults, adolescents and families as a psychotherapy clinician and supervisor in the Bronx at Our Lady of Mercy Medical Center’s out-patient mental health clinic. She also was director of an adolescent outreach project and services at Our Lady of Mercy, and mentored and supervised graduate clinical social work students from Fordham University. Since 1991 Carol offers private psychotherapy in Throgs Neck in the Bronx, as founder of Preston Center of Compassion Counseling services, providing individual and family psychotherapy for women, adolescents, children and families. She has over 25 years of experience working with diverse populations of women, adolescents, children and families in the Bronx and Westchester. 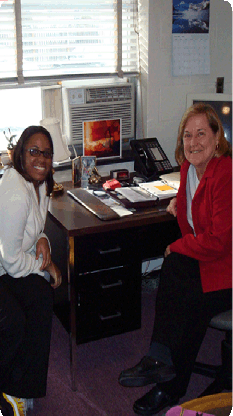 She is a Board Certified Diplomat in Clinical Social Work and a member of the National Association of Social Workers. Appointments are scheduled day times and evenings. Contact Carol at: 718-863-9134 (ext 114) for an appointment. Janit Bliss, LCSW, staff psychotherapist, is a NYS licensed clinical social, Janit Dini Bliss, LCSWR is a New York State Licensed Clinical Social Worker and practicing psychotherapist for over 20 years. Her professional experience includes alcohol and substance abuse treatment and prevention, DWI Assessments, individual therapy working with adults and youth and couple counseling. Appointments are scheduled for evenings. Contact Janit at: 914-643-5385 for an appointment.